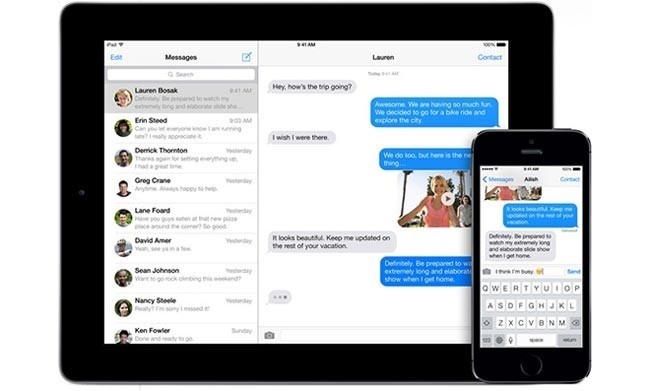 On the weekend, we heard that there is a possibility that messages sent by Apple’s iMessage could be read by a third party, according to Quarkslab, Apple could read your iMessages if they want to. Now we have a video from Violet Blue of ZDNet, which shows how the iMessage’s cant be read by a third party, have a look at the video below. Apple released statement, after the flaw was discovered, which you can see below, saying that they cannot read your messages. Message is not architected to allow Apple to read messages. The research discussed theoretical vulnerabilities that would require Apple to re-engineer the iMessage system to exploit it, and Apple has no plans or intentions to do so. The security researchers, Pod2G and GG were able to incercept messages between two iPhones and also change the content of the messages between the two phones. After seeing the video, we wonder if Apple will release a further statement, or will make changes to iMessage to stop this sort of thing happening.